Report about a case of 40.000 use hours. 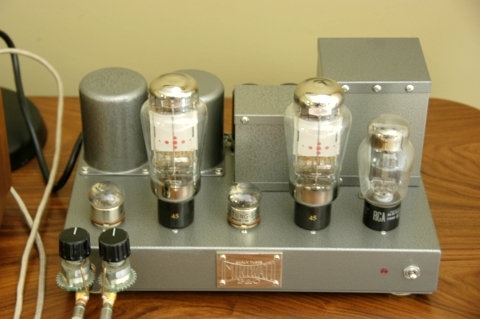 This is an article we have in preparation, about an amplifier with a pair of 45B, and an hour counter mounted on it. not just with wires, but the owner made a very nice wooden box of for. 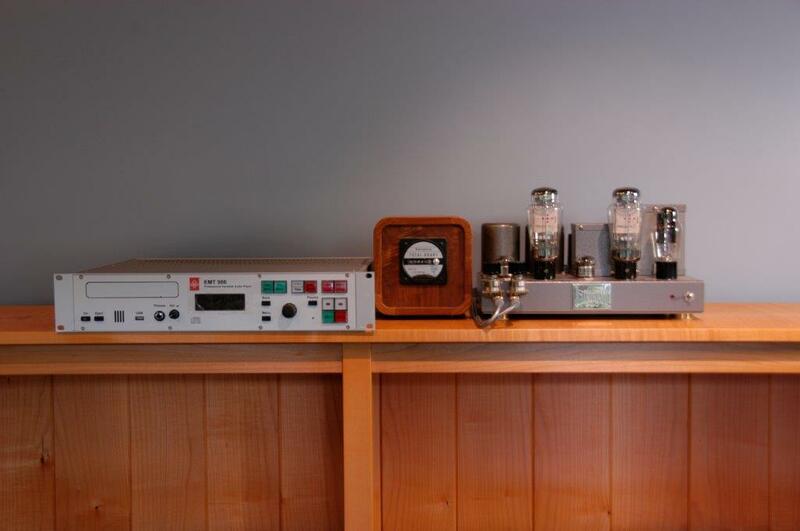 It documents lifetime of 40.000 hours, in an amplifier made by a Japanese manufacturer. 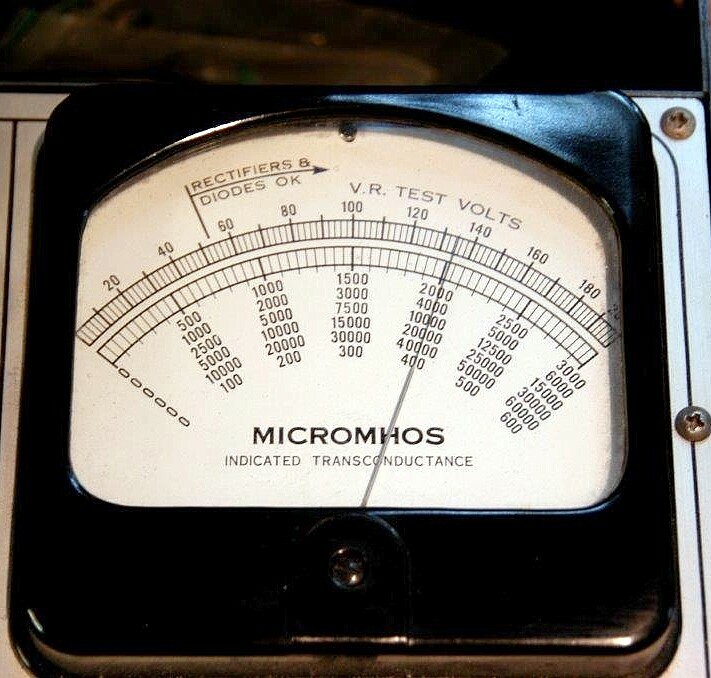 The tubes show no significant loss of tube quality, on a tube tester. Specially because it is so difficult to predict lifetime we are happy to present a case here, which was carefully documented, ever since 2008. I try to avoid engineering language as much as possible, so things like MTBF and test methods are missing here. Still a lot can be said about tube lifetime, and yet not handle all details. At EML we get often asked: What is the lifetime of your tubes? We we can never give a precise number. Still what is comes down to, it's a long chain of factors, and when one factor is weak, the chain breaks that point. Tube raw materials, individual preparation and storage of the half finished materials, the building process, and not to forget a good design. It all begins here, and it results in just raw tested, hopefully fine tubes. If good working, the tubes are vacuum sealed, gettered, and socketed. Burn in. This does not create 'better' tubes, but it gives insight in the quality. Testing, step1). Testing at maximum condition. Looking for issues. Storage. During this period, there should be no spontaneous glass cracks. This is an early failure mechanism. Testing, step2). Parametric testing and matching. Shipment. This process is not very good for the tubes. This is mechanical stress on the heaters and the glass stem, (the part inside the socket), and deformed or broken off parts may result from box dropping. Good burn in by the customer. Meaning when the tubes are new, keep an eye on them, and minimize the number of switch on and off. Ideal is use periods of 1...4 hours at a time, and then let them cool off, for the next day. After burn in, they become more resistant. The correct heater voltage always. No experiments with funny electronics. With auto bias, failures or mistakes are avoided in a natural way. DC coupling is a known trouble factor. Use no paper in oil capacitors, no current source for the heaters, and what other things are not beneficial for lifetime. Just an auto bias circuit, the classical way, has the better chances for long tube life. Use the recommended working points for long life if such are given. For instance 300B has such working points, but for 2A3 and 45 it doesn't matter. The normal use period. Few and longer use periods will lead to much better life time than many short periods. It's really a good idea to use an hour counter :) They cost not much, and tubes have often more use as thought. What are the failure mechanisms? Slow loss of good electrical data. 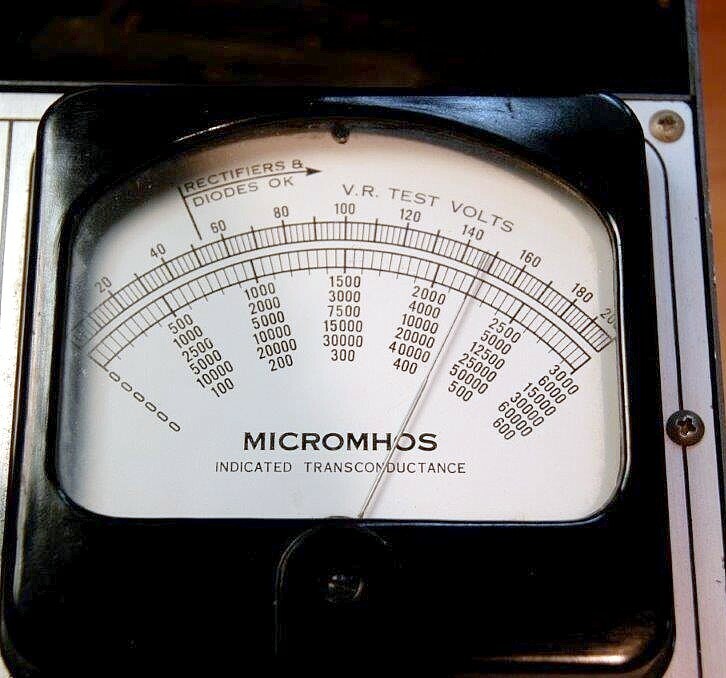 Moreover, general failure theory applies to electron tubes perfectly well: In fact it was the era of electron tubes, where the military handbooks defined the systems and test methods. WIth no adaptations this was later used for semiconductors as well. This is not a very popular answer but it is so. Let's just take a round number: 10.000 hours. Then, users would like to hear: 'Lifetime is 10.000 hours, and all tubes will reach that'. However lifetime is always a statistical average. So lifetime can be less, but also be more. This is why we can not say: Lifetime=10.000 hours. Now, this is not a recent issue. Lifetime and reliability of electron tubes never made the military very happy. 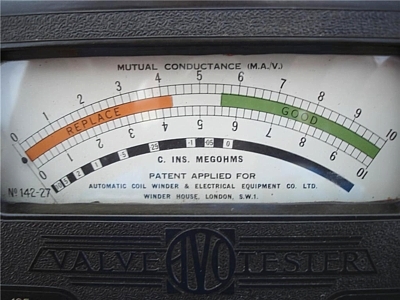 They have come up with things like the MTBF (Mean Time Between Failure), and the JAN (Joint-Army-Navy) testing method which improves reliability. Both MTBF and the JAN spec are still in use today for semiconductors, though electron tubes made it necessary to develop such standards. Please keep apart lifetime and failure rate. The question must always be: What is the probability you reach a certain lifetime? A product may (sometimes) fail before expected life time is reached. Same as with humans. So expected lifetime of a new born baby would for instance be 73 years. However 30% of them will not reach this age. Yet, expected lifetime is 73 years still. That is so, because 2/3 still live, and some become 80, some 90 or 100 years old. That makes the average 73 years. So always, when you specify a lifetime expectation, you have to add the probability this number will be reached. Doing so, you can not try to come close to 100%. So when you want to specify a lifetime expectation for humans, which is close to 100%, you would find the number of 18 years. (This is really so). The above example shows how difficult interpretation of numbers can be. When talking about electronic components, we must distinct between such which end the lifetime of the equipment, and such that can be replaced. A part which is not replaced is for instance the magnetron tube of a house hold oven. These must have a specified lifetime that will be short, perhaps these run only 20 minutes per day. Yet that must be reached with say 96% probability during the guarantee period. This is just a calculation, when they know 4% will fail, they just make the ovens 4% more expensive and replace then defective ovens for free. For products which like to fail, but can be replaced, the situation is totally another. Here, we do not need to specify this with 96% chance, because this would make specified lifetime unrealistically short. Let's take a light bulb for that. With 96% chance you can expect only 300 hours, that is because of 4% early failures. However when you replace those, you will find 70% of the bulbs can be used for two years (which equals perhaps 5000 hours). A possible specification would be: 5000 hours with a probability of 70%. Some real numbers for tubes. When we say the lifetime expectation for a tube like ECC82 is 5000 hours, which is a realistic number for an NOS quality product, nobody is angry when they last 7000 hours. The same way, you can not complain if they last only 3000 hours. The average of 7000 and 3000 is 5000 hours. To prevent free replacement of products, the manufacturer would say the lifetime is 5000 hours, but they guarantee only half of it. Like with a car engine, we all know it can last for 10 or 20 years, but guarantee ends much before that. With tubes, it's better than above, because we can measure their remaining quality with a tube tester. Actually the Hickok testers are probably the best there is, for this purpose. It's giving generically imprecis test data, but the remarkable thing about Hickok testers is, when they say a tube is 'good' or 'bad' that's what they always are. What else can we say about lifetime? Yet it should not be under estimated, if tubes appear to be 100% ok, much after the expected lifetime, they may die still unexpected of heater breakage. All other failure mechanisms will (likely) not take place any more after 40.000 hours, because these are catastrophic failures, like glass crack or leaky pins. So chances on that gets lower, the older the tube gets. The only catastrophic failure with increasing risk is heater breakage, and this is exactly the reason why correct heater voltage, is so important of long tube life. So, when tubes appear fully ok, and test strong after 40.000 hours, the only thing likely to happen is a heater breakage, and as long as that does not happen, there are a lot more hours possible. Picture 1. 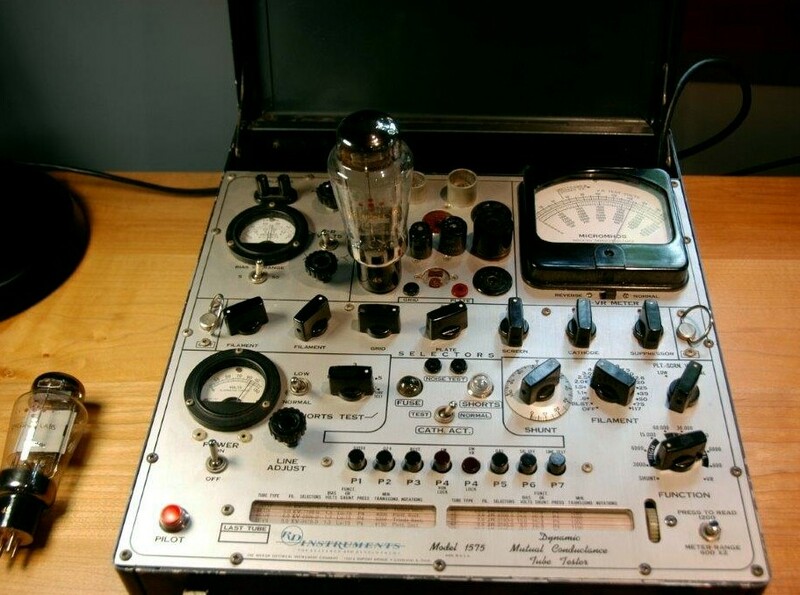 Tube tester: This is a 1575, which Hickok supplied to companies like RD Instruments and Western Electric. The 1575 is based on the famous 539C tester, and some say the internals of the 1575 are even better. Picture 7. Close up of elapsed time meter 20,440.5 hours since reset in 2013. I listen mostly to FM on the McIntosh and Marantz 10b tuners but it was easier to move the EMT 986 CD player to a spot with better light so I could take pictures. Let me know if the pictures are ok or if you need more. This amplifier is now on between 10-11 hours a day, sometimes more on weekends. I am amazed at how durable these tubes are. Not sure why these tube are so durable; they have been in constant use since purchased the Kurashima 45 back in Feb. 2008. This amp is on every day	except when I'm on holidays. Forgot to mention the tester:	RD Instruments. For Research and Development. Same as WE KS-15750-L2 Hickok Electrical Instrument Co. I am still using the same 45 Solid Plates and I changed to using the western electric 717a's after I spoke with you some time ago. The 45's have 39,569 hours on them now and they still sound great. I will test them tonight and let you know the results tomorrow. This 45 amp is great; I listen to it more than all of my other equipment. I have added an EMT 986 CD player so I can listen to my old CD collection but I mostly listen to FM through my McIntosh tuners and Marantz 10b. Hope all is well with you and you had some	time to surf this summer. 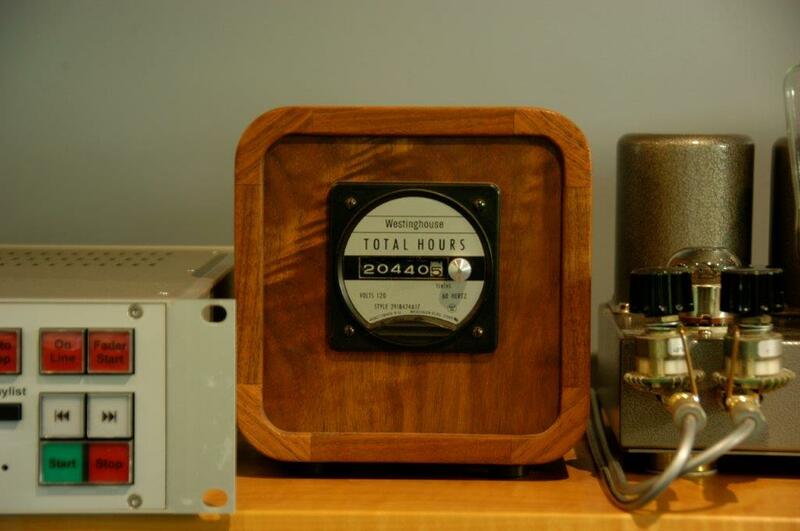 Here are a few pictures of the 45 amp and the elapsed time meter. The elapsed time meter was zeroed 22 months ago; I was originally planning to zero it every year but forgot June of 2013. It averages between 3400 and 3500 hours per year and the variance is due only to the number of days I am away from the house. This amp it turned on every day with a time clock switch so it wakes me up every morning and it is on for approximately 9.6 hours every day that I am here (almost always). I received the amp back in March of 2008 to the best of my memory and it has played every day since except for the rare holiday I take away from the house/ laboratory. I had difficulty with light so I had to move the amp to where I could get some pictures. I am going to leave the WE 717a tubes in because I prefer them to the original red 5693's. Both the 5693's and the EML 45 Solid Plates were in the amp since new. 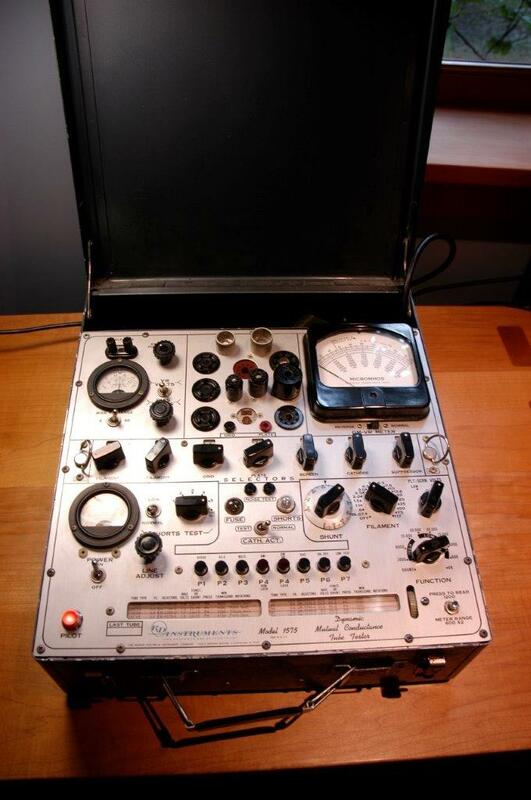 I tested both the EML 45's and the 5693's this week with my tester. 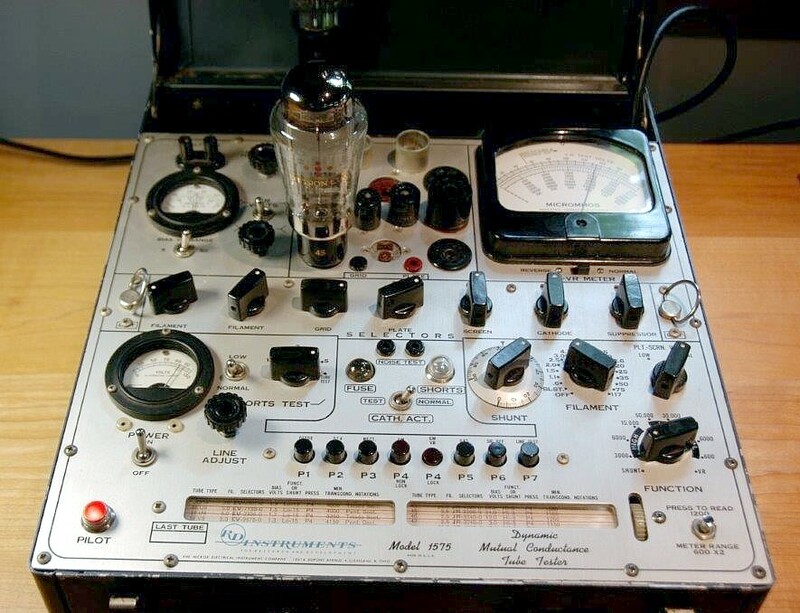 I use a Hickok model RD Instruments 1575 for Research and Development - it appears identical to the Hickok Western Electric version KS-15750-L2 and uses the same roll chart to test all the Western Electric tubes. These tubes test better than my two NOS EML 45 Globe tubes that test at 1925 and 1800. I use these sparingly because they are rare. I tested the 45 Solid Plates back in Sept of 2013 and they tested the same as they did this week. I am amazed at how durable these tubes are. When these tubes were new they tested around 2000. Although they are considered 10,000 hr tubes they have also held up well considering they have in excess of 23,000 hr on them. 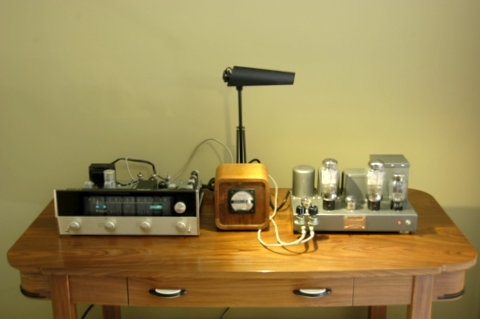 The RCA 5Z3 rectifier also tests great so this Kurashima 45 amp is very easy on the tubes. Sorry if the pictures are not great; our house is quite dark with the surrounding large trees. Let me know if you want me to try to take some better pictures.